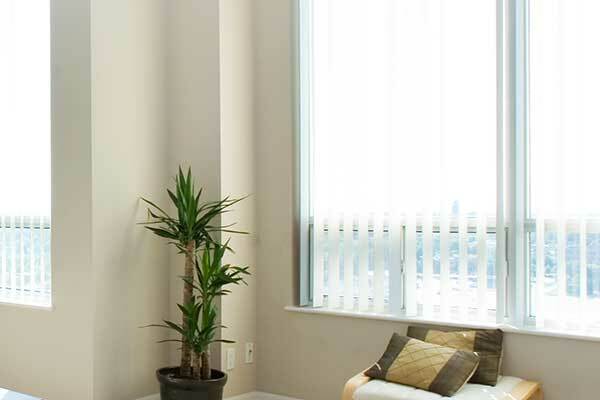 Curious to know what kind of window coverings we can provide for your home or business? Don’t worry! Our team has a selection of some of our most recent projects for you below. Customer Issue: Wanted drapery that could also be used as upholstery for the chairs around the elegant new furniture. Our Solution: After examining the fabric options in our extensive collection, the customer chose a stylish elegant material that would be perfect for his requirement. Our team installed the custom-made ripple-fold drapes, with double turned hems, mitered corners, liners, and weights and provided the customer with extra fabric for upholstering the chairs. 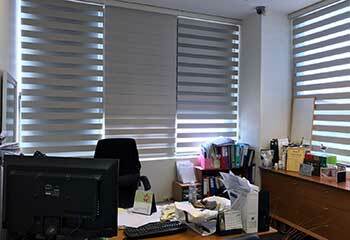 Customer Issue: The customer’s office building needed new, simple blinds to reduce glare for his employees. 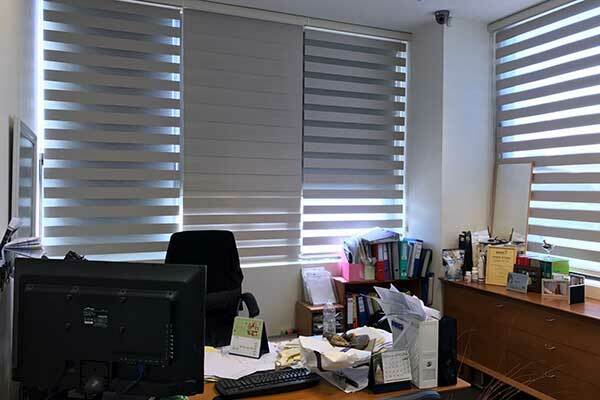 Our Solution: Our customer was in need of blinds that wouldn’t be distracting to employees, were affordable, and that would effectively keep out glare as well as help regulate the temperature to avoid energy waste. 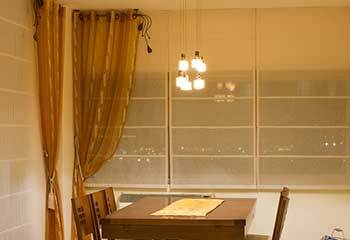 Our professionals felt aluminum blinds met all of these needs easily. Customer Issue: The customer was looking for shades for high up window coverage. Our Solution: This customer had windows that couldn’t be reached for manual shades and our company had the perfect solution. Motorized shades would allow her to be able to cover them as needed by letting her use a remote control instead of strings. 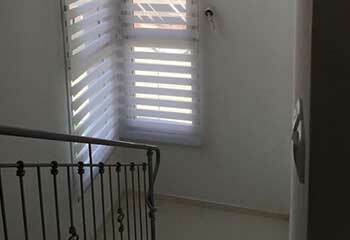 Customer Issue: The customer needed new blinds for his downstairs rooms, such as the living room. 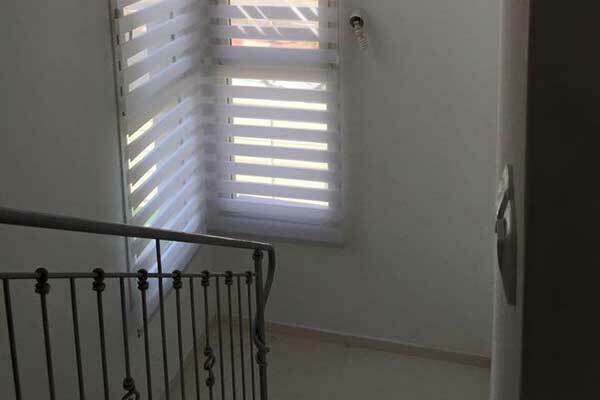 Our Solution: Due to most of the windows in the living room, kitchen, dining room, and others being large, our professionals suggested vertical blinds. They look far less busy with lines than horizontal blinds for big windows, and help elongate the room.